The Lion City’s ruling party has set in motion a careful handover, identifying the man who will eventually become premier. Boardrooms, against which the island gauges itself, can learn from the planning. Both, however, would benefit from more diversity to prepare for shocks. 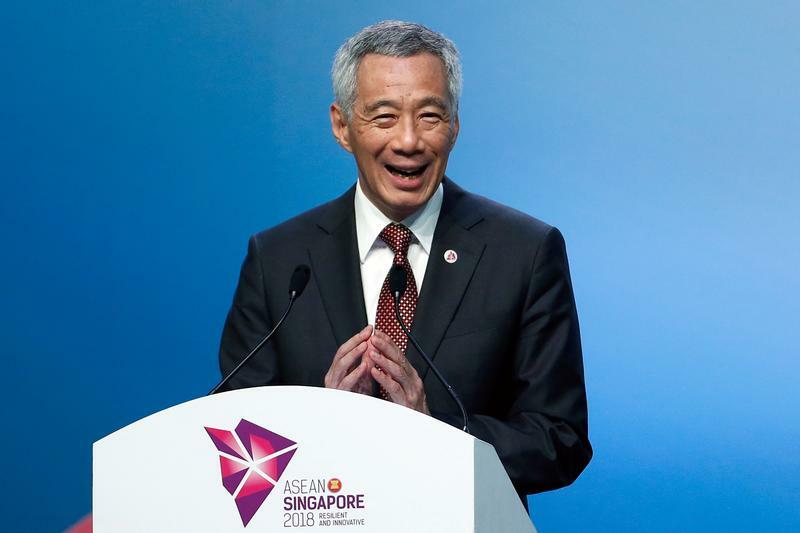 Singapore's Prime Minister Lee Hsien Loong smiles during the Closing Ceremony of the ASEAN Summit and Related Summit in Singapore, November 15, 2018. Singapore’s ruling People’s Action Party on Nov. 23 named Finance Minister Heng Swee Keat to first assistant secretary general, putting him in line to take over as prime minister when current leader Lee Hsien Loong steps down. Singapore has been governed by the People’s Action Party since independence in 1965. Heng was one of three senior figures tipped to succeed Lee, but his health had been a concern after he suffered a stroke during a cabinet meeting in 2016. He is now expected to be named deputy prime minister next year. Lee has pledged to step down in the coming years. A general election is due any time before January 2021, when the current five-year parliamentary term ends, and could be held as early as next year.